Contouring and bronzing when you have pale skin, can be quite the task! I’ve done a post very similar to this before, but I wanted to shed some light on it once again. 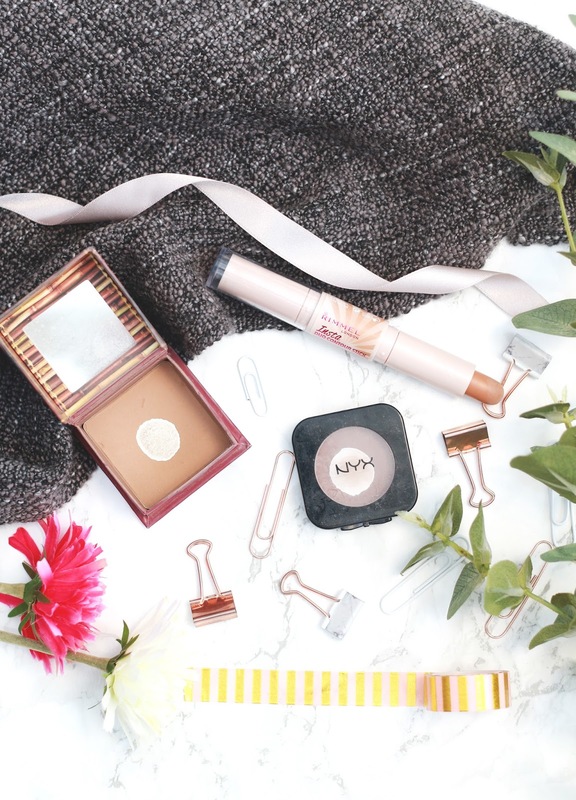 It can be quite tricky finding the right contour/bronzing products for pale skin, so I thought I’d share some of my faves. First up, we have the Benefit Hoola Bronzer. Pretty sure everyone has heard of this cult classic, its been hyped about for years now. Although its high end, its 100% worth it, I can assure you of that. I find with some drugstore bronzers, they can come out too red toned or look a bit ‘muddy’ on the face, but this is perfect. I just use a fluffy brush and lightly dust it across my cheeks, forehead and nose. Talking of powders, the NYX Blush in Taupe is so perfect for contouring. Again, this has a very cool undertone to it, which means it doesn’t look like you’ve wiped dirt across your face. Plus its super cheap, so you can’t go wrong! Finally, a product new to my collection that I really wanna talk about. The Rimmel Insta Duo Contour Stick*. I’ve been desperate to try this out, and I finally got my chance. I’ve seen a few people say this is a dupe for the new Kim K contour sticks, which is kinda cool I guess. Anyway, I’ve really been enjoying this, the formula is really pigmented and actually very creamy. It blends out beautifully and leaves you with a subtle ‘chiseled’ cheek look. The highlighter side isn’t as good as the contouring side I must say, but thats fine by me as I have a million and one other highlighters I can use haha. Overall, I’m really enjoying this and I’d definitely recommend if you’re looking for a new contouring product.